Ultrafiltration (UF) Water Treatment | Applied Membranes Inc.
For nearly four decades, Applied Membranes has been on the forefront of membrane separation process technology, utilizing all improvements in the evolving techology and incorporating these into our product lines to offer the highest levels of performance and reliability available today. AMI designs and manufactures ultrafiltration membrane elements for a wide variety of applications and water challenges. Our understanding of the membrane technology is reflected in our standard and custom-engineered ultrafiltration systems utilizing both spiral-wound and hollow-fiber ultrafiltration membrane modules. AMI is a leader in reverse osmosis and other water treatment technologies and incorporating multiple complementing technologies into efficient water treatment solutions that give the highest levels of performance available in the market today. 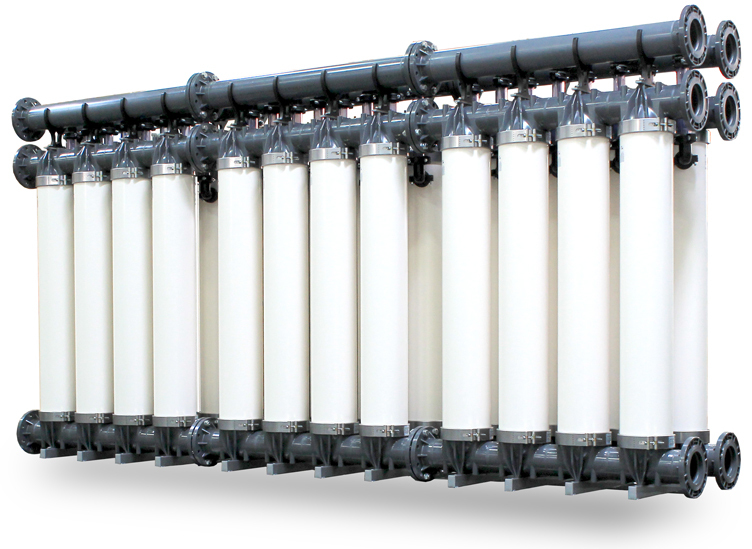 Ultrafiltration is a separation process using membranes with pore sizes in the range of 0.1 to 0.001 micron. Typically, ultrafiltration will remove high molecular-weight substances, colloidal materials, and organic and inorganic polymeric molecules. Low molecular-weight organics and ions such as sodium, calcium, magnesium chloride, and sulfate are not removed. Because only high-molecular weight species are removed, the osmotic pressure differential across the membrane surface is negligible. 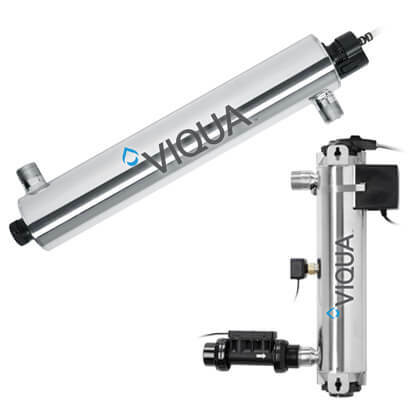 Low applied pressures are therefore sufficient to achieve high flux rates from an ultrafiltration membrane. Flux of a membrane is defined as the amount of permeate produced per unit area of membrane surface per unit time. Generally flux is expressed as gallons per square foot per day (GFD) or as cubic meters per square meters per day. Ultrafiltration membranes can have extremely high fluxes but in most practical applications the flux varies between 50 and 200 GFD at an operating pressure of about 50 psig in contrast, reverse osmosis membranes only produce between 10 to 30 GFD at 200 to 400 psig. 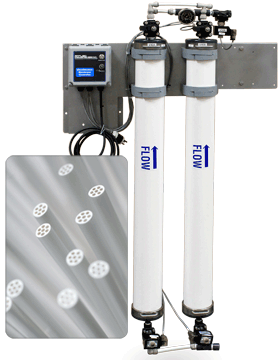 Ultrafiltration, like reverse osmosis, is a cross-flow separation process. Here liquid stream to be treated (feed) flows tangentially along the membrane surface, thereby producing two streams. The stream of liquid that comes through the membrane is called permeate. The type and amount of species left in the permeate will depend on the characteristics of the membrane, the operating conditions, and the quality of feed. The other liquid stream is called concentrate and gets progressively concentrated in those species removed by the membrane. In cross-flow separation, therefore, the membrane itself does not act as a collector of ions, molecules, or colloids but merely as a barrier to these species. Conventional filters such as media filters or cartridge filters, on the other hand, only remove suspended solids by trapping these in the pores of the filter-media. These filters therefore act as depositories of suspended solids and have to be cleaned or replaced frequently. Conventional filters are used upstream from the membrane system to remove relatively large suspended solids and to let the membrane do the job of removing fine particles and dissolved solids. 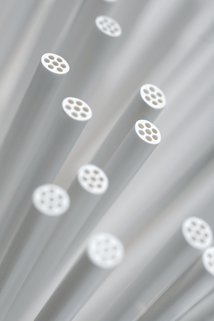 In ultrafiltration, for many applications, no prefilters are used and ultrafiltration modules concentrate all of the suspended and emulsified materials. AMI UF Systems produce purified water from tap or well water for applications such as water stores, RO pretreatment, whole house, and laboratories.